The World Series of Poker and Australia’s Crown Melbourne have announced that the second WSOP Asia-Pacific will take place from Oct. 2-18, 2014 and will feature 10 gold bracelet events. In addition, the tournament has been changed so that it occurs on a biannual basis. While the WSOP APAC will grace the poker calendar on even years, the WSOP Europe will only take place on odd years — meaning there will be no WSOP Europe in 2014. As with the inaugural WSOP APAC, the 2014 event will include television production coverage to be aired globally. 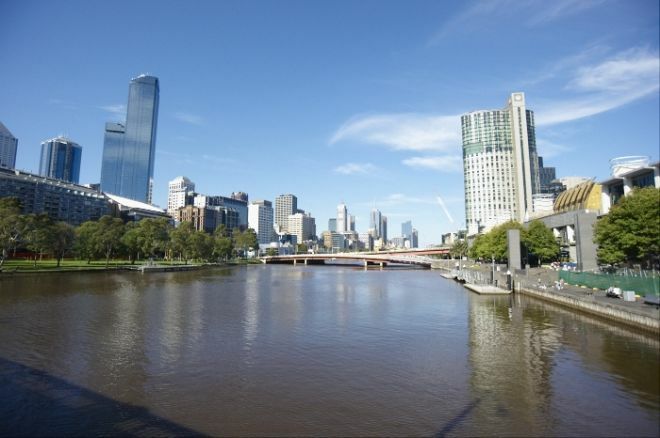 At the end of January, Crown Melbourne will host the 2014 Aussie Millions Main Event as a part of the PokerStars.net Asia-Pacific Poker Tour (APPT). The 16th annual Aussie Millions begins on Jan. 23 and features the A$10,600 Main Event on Feb. 2, along with a A$25,000 Challenge, A$100,000 Challenge, and A$250,000 Challenge – all of which PokerNews will be live reporting. WSOP Champion Alex Bilokur: "I Am Not Mentally Ready for the Big One"
Russia’s Vitaly Lunkin Says He Has "Had Enough of Las Vegas"